Want to experience this adventure with a friend or as a couple? Choose this ticket! Share this amazing adventure with a friend or as a couple! Please note: Each person sharing the speedboat will need a separate ticket. If you purchase one of these tickets you will share the speedboat with another person selected on the day. 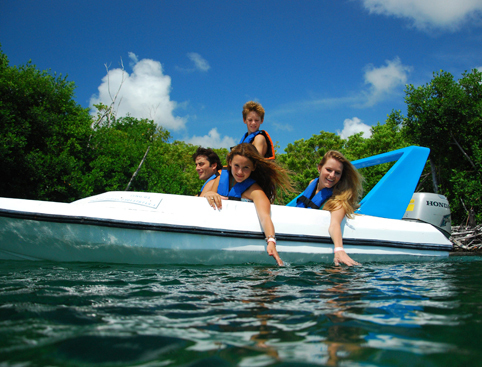 Ride the speedboat solo and experience an adventure you’ll never forget! 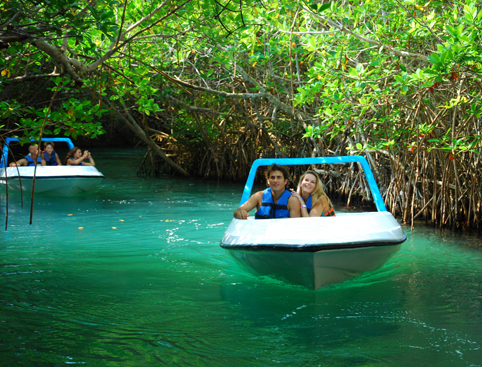 Don’t Miss: Feeling like James Bond as you swerve your speedboat through the mangroves! Experience the exhilaration of piloting a speedboat through tropical mangroves and snorkelling amongst the colourful marine-life of one of the largest reefs in the world on the unmissable Jungle Tour Cancun! Pilot a speedboat across a lagoon and through a mangrove channel. 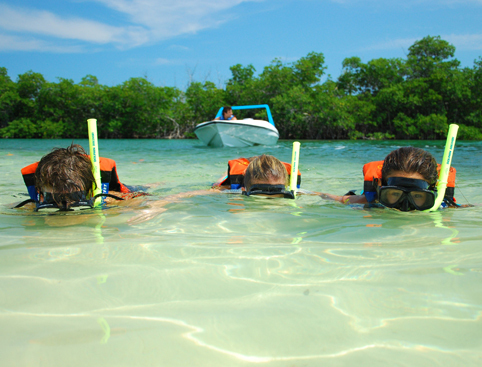 Snorkel amongst the coral and marine-life of one of the world’s largest coral reefs. Get back behind the helm for the speedboat return journey to the marina. Choose from a solo trip or take a friend along with the “shared” ticket! Includes life vest, snorkelling gear, water and professional guide. 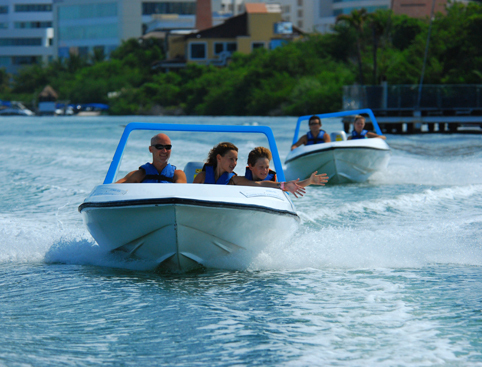 After a snack at the local marina, the Jungle Tour Cancun begins with an exhilarating 45-minute speedboat ride across the gorgeous Nichupte Lagoon. 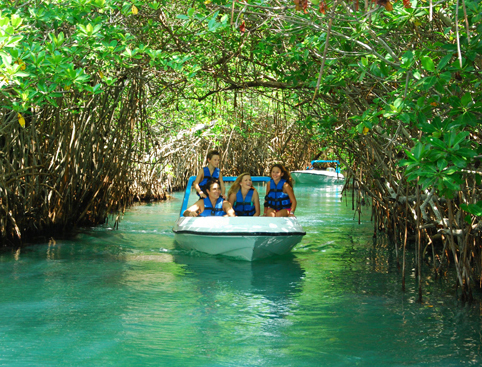 Now you’ve got the hang of piloting your speedboat, you’ll be able to steer a good course through the dense mangroves channels which line the route to the reef. Having made it through, you’ll stop at the second largest reef in the world where you can snorkel for a blissful half hour amid the myriad of tropical marine-life that lives amongst the colourful reef corals. After your underwater adventure, you’ll begin the return journey at the helm of your speedboat, back through the twisty mangrove channel and across the azure-blue Nichupte Lagoon to the dock. Sunrise Marina at Km 14.7 opposite the Marriott hotels. Unsuitable for pregnant women and people with back or sinus problems. We recommend you bring sandals, swimsuit, towel, a hat and sun block. $5.00 deposit for locker use (payable locally). Please note: $12.00 Marine Reef Tax and Dock Fee is payable directly in cash upon check-in. Fees can change without notice.